The May item-of-the-month is a pair of sneakers with animated purple lights. 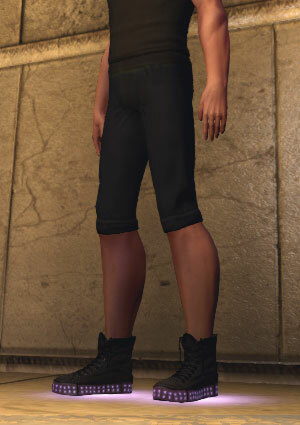 The April item-of-the-month is a faction specific jacket. There are four pieces available for the January item-of-the-month, a back slot robe and head slot towel. 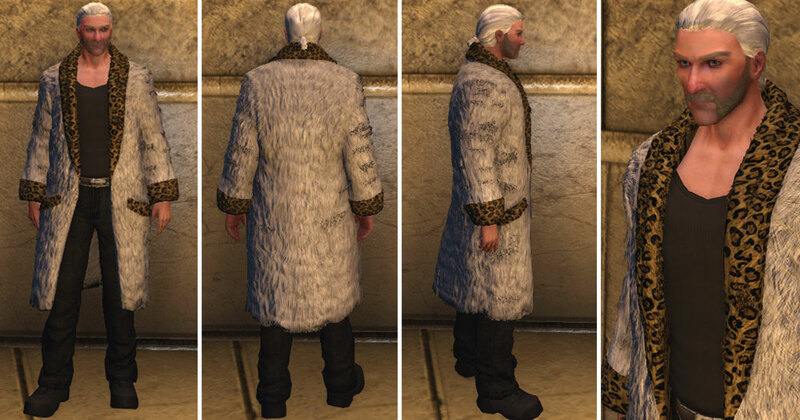 The robe can be worn with pants and chest item. 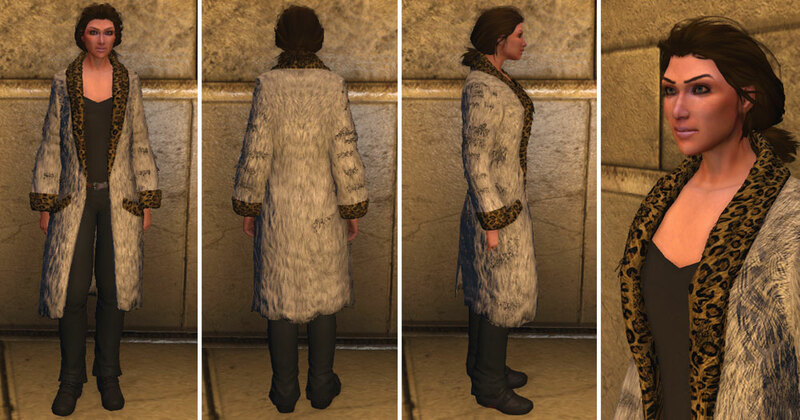 Two pieces for the December item-of-the-month, a Fur-lined coat, white and Leopard Cane Mould applicable to hammers. Note: The mould can be claimed multiple times, which is a nice modification from the original one-per character. 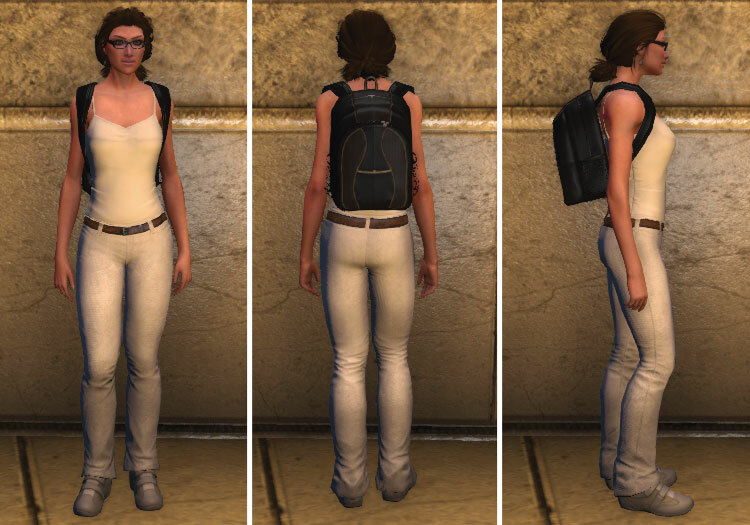 We get two backpacks for the July item-of-the-month, both fit in the coat / back slot. 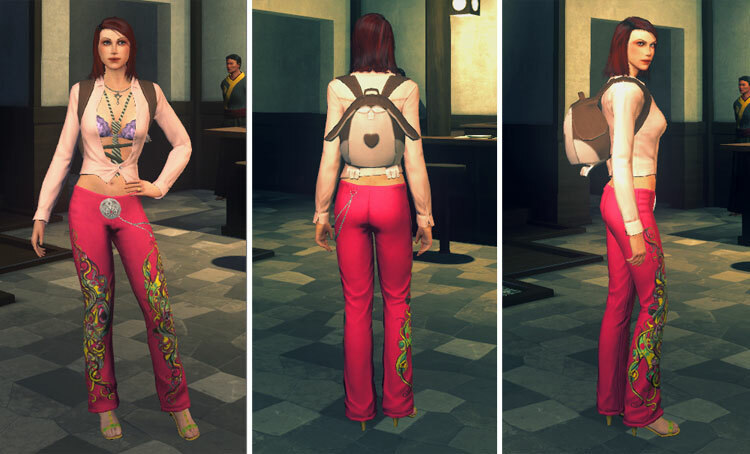 The other one is the Adorable backpack, brown. Thank you Liseran for the screenshots! The other one is the Backpack, grey. 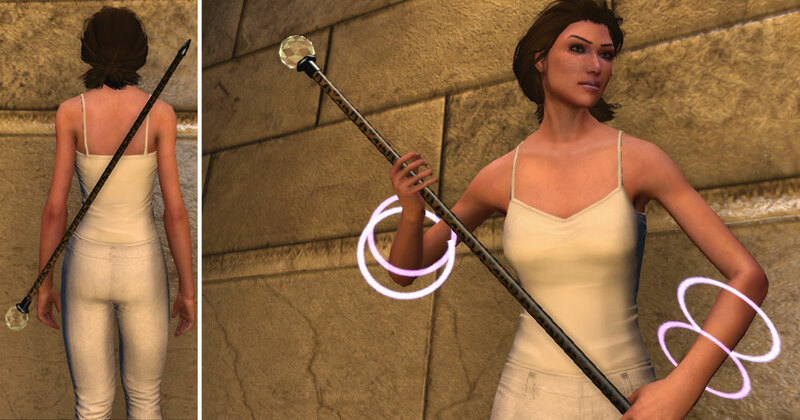 Thank you Liseran and Spiderbaby for the screenshots!